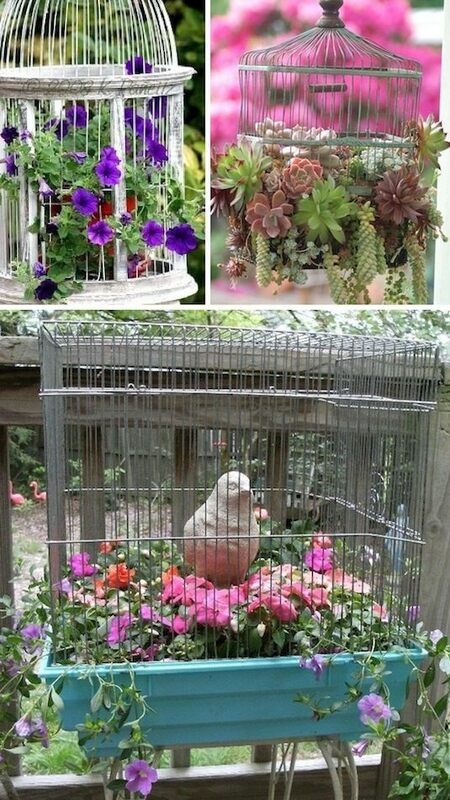 Birdcages come in all kinds of shapes and sizes, and they’re ideal for showcasing your plants, especially plants that tend to hang and droop; spilling out of the cage. They’re just the right size and shape! 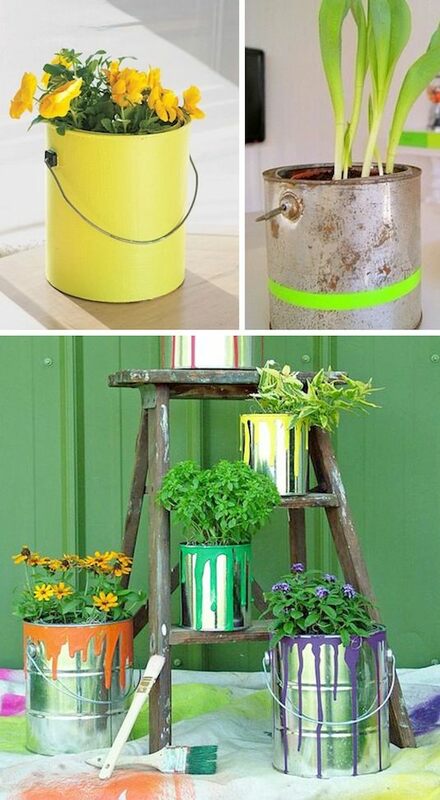 Drill a few holes in the bottom and decorate them however you’d like. Or, don’t decorate them at all! Just remove the label. I like the way they look in their natural state. 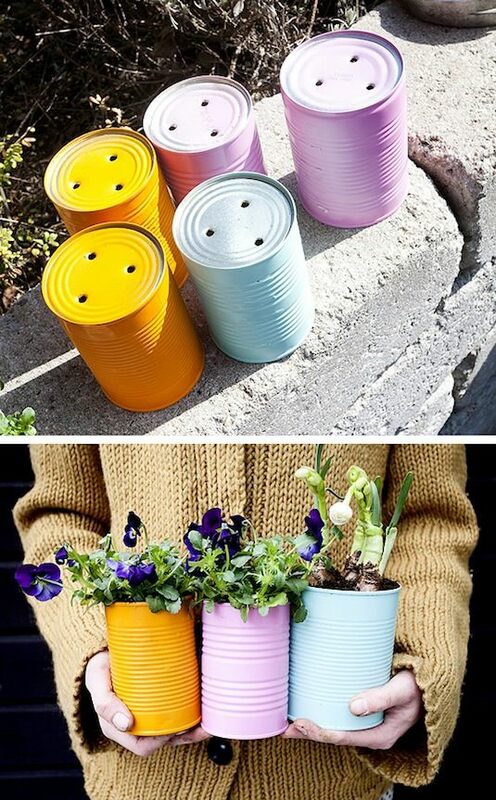 There are always an abundance of tin cans, and they make for cute gifts! I like this idea as a teacher’s gift. You could even write a special message on the outside.